There’s never been a more important time to be a member of NAMMA. 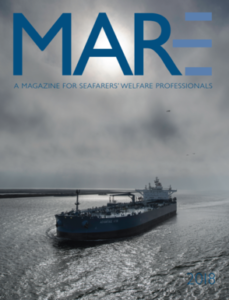 NAMMA is a recognized leader in seafarers’ welfare, encouraging maritime ministry, professional development, and networking. Membership in NAMMA benefits your work, but, ultimately, supports the welfare of seafarers in all our ports. Being a member of NAMMA provides you with the benefits of being part of an international institution, and gives you the opportunity to profit from numerous services and benefits offered by our association throughout the year. Each registered member can also register their mission organization or seafarers’ center as an affiliated agency. Click here to download form – fill out and send in with check.